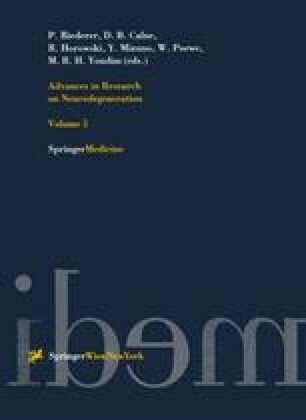 Collective evidence from studies in the animal model experimental autoimmune encephalomyelitis and pathological and immunological studies on MS patients suggest that this most common inflammatory demyelinating disorder of the central nervous system results from primarily T-lymphocyte driven aberrant immune responses to a number of myelin and possibly non-myelin antigens. These include MBP, PLP, MOG, MAG, CNP and S 100. Autoreactive T-cells reactive with these antigens circulate in blood and upon activation can travel across the blood-brain-barrier to initiate a local immunoflammatory response provided they encounter a microglial cell that displays antigenic epitopes in the context of MHC class II gene products and accessory molecules. Demyelination probably results from antibody-induced complement activation. Repeated inflammatory episodes eventually exhaust the reparative capacities of oligodendrocytes and damage axons. As the disease evolves, an initialy focussed immune response may diversify due to a process termed epitope spreading. The initial event of T lymphocyte activation remains elusive, but molecular mimicry, cross-recognition of structures shared between microbes and myelin, appears to be crucial.